Severn School | Why Did Students Have the Day Off on Friday? On Friday while students enjoyed a welcome break from the buzz of the first weeks of school, our teachers taught and attended workshops as an extension of our Summer Institute of Professional Development. 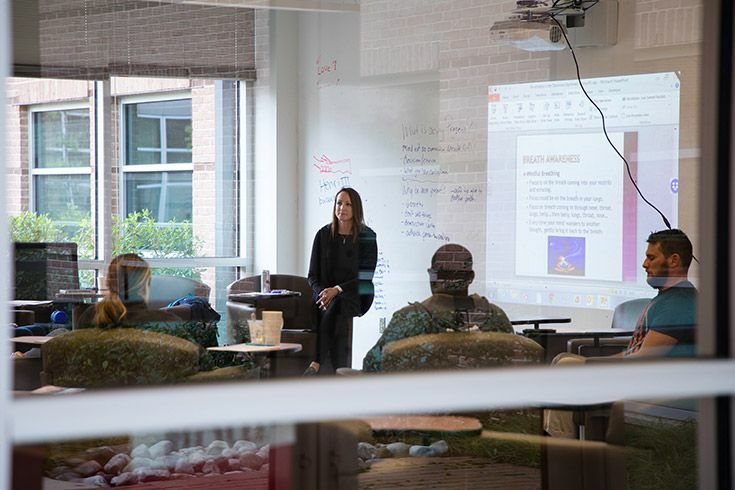 From Mindfulness in the Classroom to Introduction to the Graw Innovation Center, these workshops help our teachers develop new practices and strategies to use with our students. 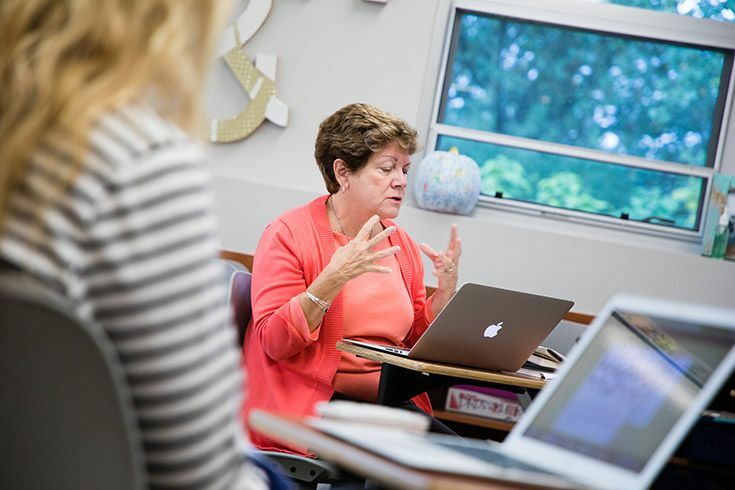 Professional learning and personal enrichment keep our faculty a cut above the rest. Getting started in Assessment: Summative, Formative and Performance. Assessment: Summative, Formative, and Performance: Exploring different formats and the applicability of formative and summative assessments. Best Practices Sharing Session: Sharing successful practices for grading and the use of rubrics in embracing and building a student-centered environment. 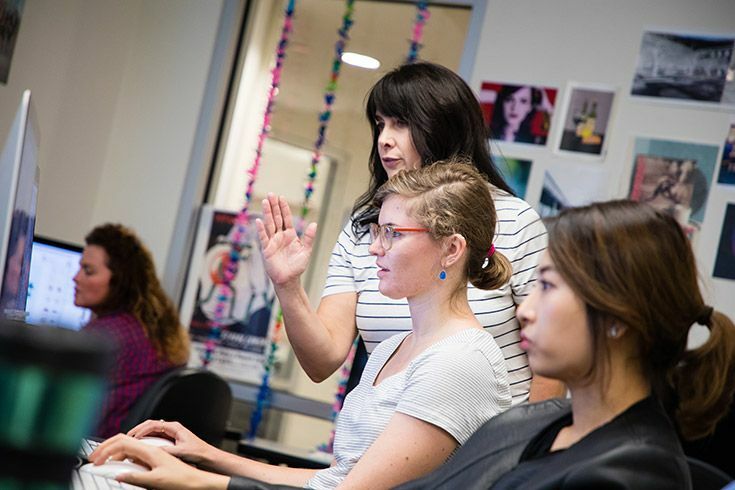 Creating a More Inclusive Classroom: Considering the diversity of the students we teach and how issues of diversity impact student achievement. Escape Room Severn. Learning how to build community and test students' critical thinking skills using an escape room challenge. Honoring and Engaging Introverts: Exploring multiple ways to engage our more introverted students without placing our extroverted students at a disadvantage. Intro to the Graw Innovation Center: Exploring the tools and machines housed in the RxNT Tech Center including 3D printers and laser system. Loose Parts: Integrating a wide variety of loose parts in your classroom and on the playground to create opportunities for children to move, manipulate, control, and change within their play. Make Magic Happen With Green Screen: Learning how to create videos for storytelling, book reviews, historical reenactments and more with a green screen to incorporate creativity, critical thinking, communication, and collaboration into assignments and increase student engagement. Make a Note of It: Encouraging students to implement effective note taking techniques and enhance their active listening and reading skills. Mindfulness in the Classroom: Teaching students about mindful practices to help with focus and emotional regulation including breath and body awareness, mindful eating, mindful speech, interconnection, and gratitude. Movement in the Classroom: Exploring strategies to optimize student learning that harness their natural need to move. Reading Strategies That Work: Exploring a mix of traditional and more interactive approaches to keep students engaged in meaningful reading. 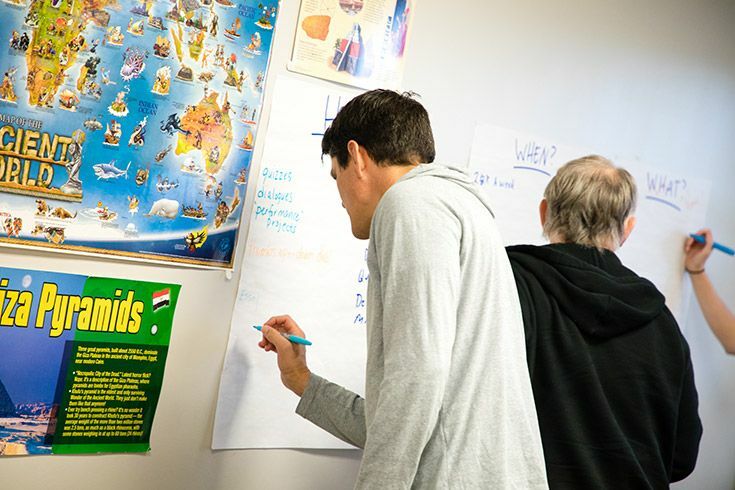 Working With Questions: Exploring the use of the Question Formulation Technique (QFT) to build better open-ended questions with students. Creating designs with Tinkercad to 3D print in the RxNT Tech Center. Breathing exercise during Mindfulness in the Classroom. As a student-centered institution, we believe that we should model the qualities we wish to see in our students. To that end, we engage in professional development as a community of learners. Adults learn best in collaborative situations where professional growth is valued.